Batteria 18650 non comprese nella confezione, da acquistare a parte. 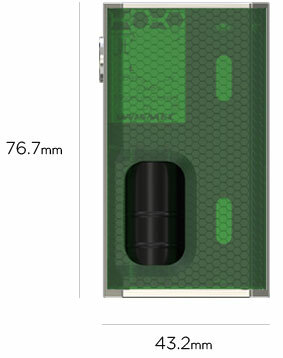 LUXOTIC BF BOX, a brand-new box mod designed by JayBo, features its reimagined squonk system and inbuilt refillable e-liquid bottle of 7.5ml capacity. Powered by single replaceable 18650 cell, LUXOTIC BF BOX is convenient in use and fashionable in look. . Simple, compact yet powerful, that’s the LUXOTIC BF BOX.